A series of triathlon workshops to get you ready for the race day! 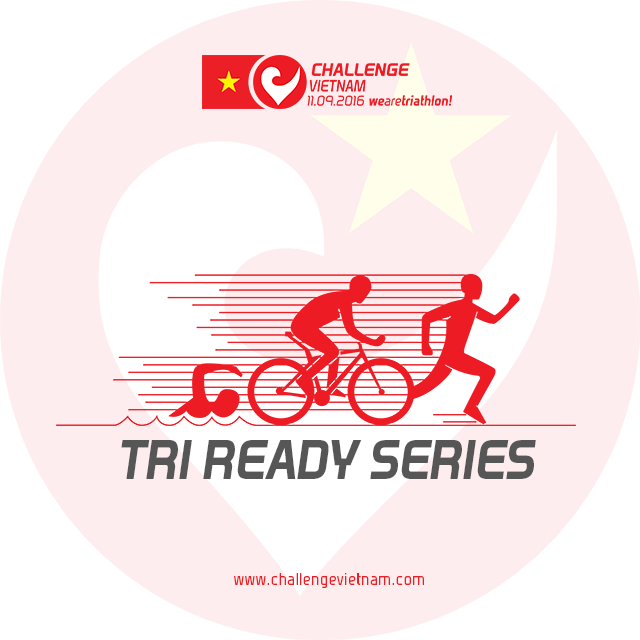 The Tri Ready Series is a five-part triathlon workshop strategically scheduled throughout the Vietnamese race season. It is geared to run you through the A-Z of triathlon. Tri Ready 1 (TR1) is a swimming technic analysis where athletes will be taught the difference of regular swimming from triathlon swimming. TR2 is a bike workshop, which will focus on basic bike repairs and maintenance, as well as lessons on how to disassemble and assemble a bike for travelling to and from races. TR3 is a running workshop, which will teach the athlete how to run properly, focusing on the right muscles to use so that you finish the race strong and looking good. TR4 is a workshop, which will focus on nutrition. It will teach athletes the proper food consumption prior, during, and after the race so as to bring out their best performance. Transition is the fourth discipline in triathlon, which is usually overlooked by most athletes. TR5 is geared to educate beginner triathletes on how to properly plan and execute their transition. After participating in the Tri Ready series athletes will leave with the proper mindset and know-how to enable them to perform their best during raceday! If case you want to know more detailed info and register, click here!